In early January, Design NJ Publisher Tammy Keck and Assistant Editor Marirose Krall had the privilege of meeting a very special little girl. Grace Eline is a fifth grader who’s dealing with something no 10-year-old should have to endure. 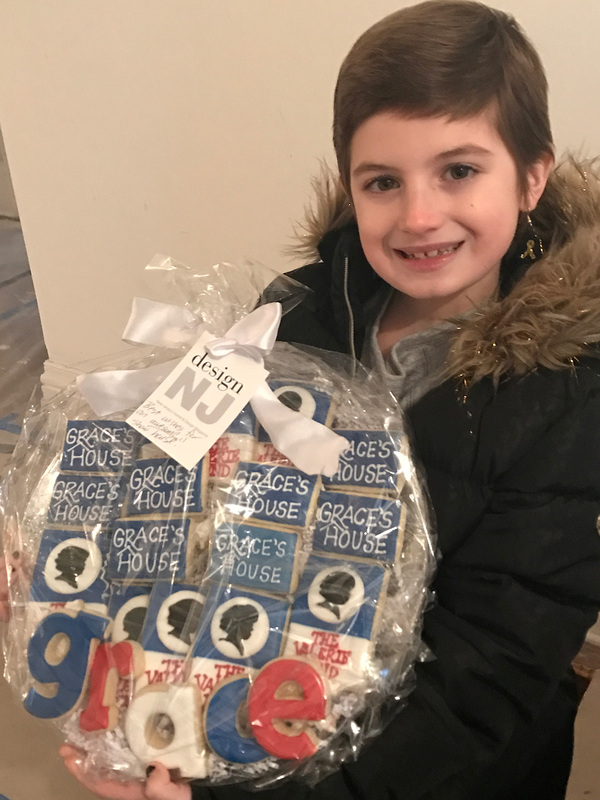 Diagnosed with cancer last year, Grace faced her treatments with strength well beyond her years and with the help of The Valerie Fund, a New Jersey organization with a mission to provide individualized care to children at medical centers close to home. Grace with Publisher Tammy Keck. Last night, Grace was a guest of First Lady Melania Trump at the State of the Union address, and the bubbly personality so evident during our visit was on display for the nation. 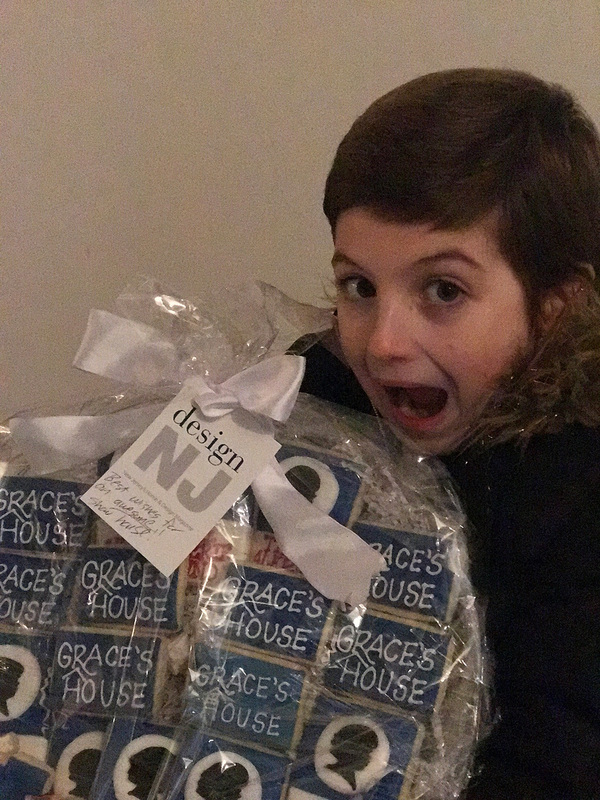 Here’s the amazing story of Grace, of the grandfather who moved heaven and earth to help her, and of the New Jersey design community who wholeheartedly supports the cause. 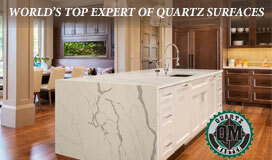 Design NJ magazine is proud to have been selected as media sponsor for this special event. 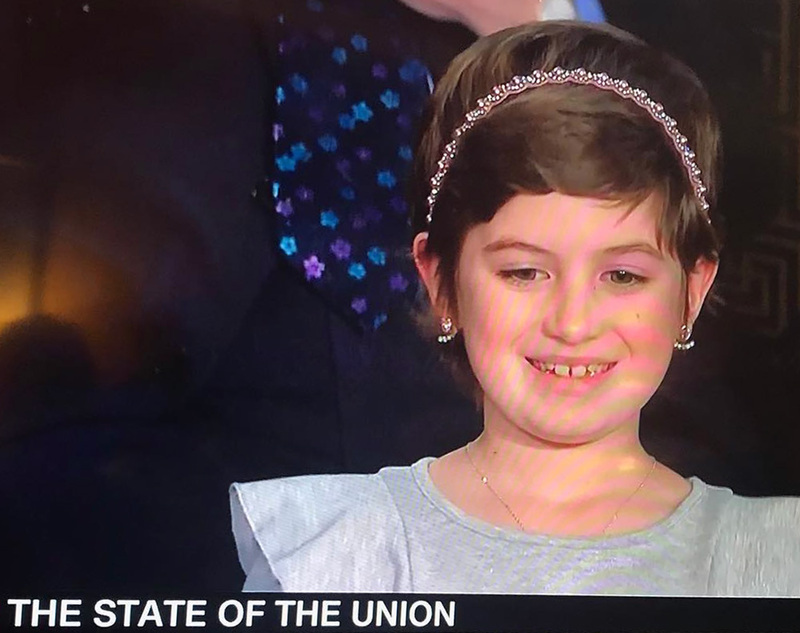 Grace at the State of the Union Address. Dan and his granddaughter Grace on the staircase. 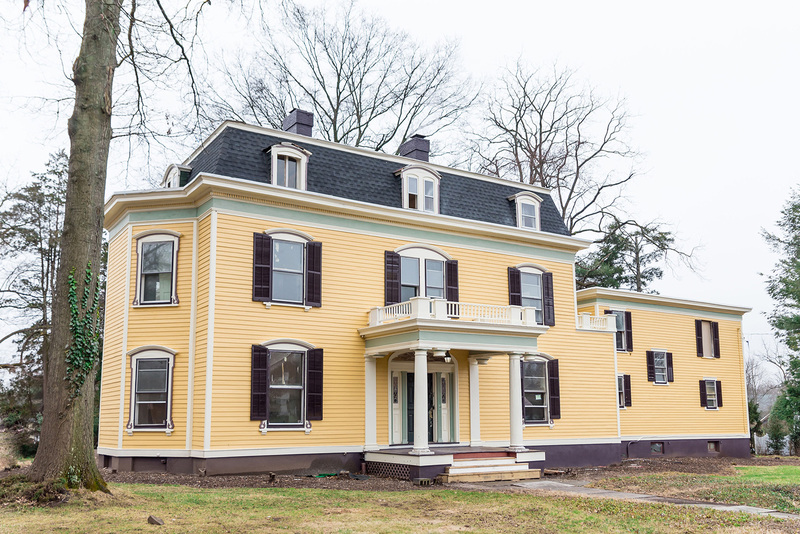 When Dan Reichard met with the Historical Commission of Plainfield to discuss his plans for the 1893 Colonial Revival home he’d just purchased at auction, he assured members he wasn’t going to tear it down. Nor was he going to subdivide it into apartments. Instead, his intention was to restore the mansion at 950 Hillside Avenue. “I’m looking to put it back the way it was,” he says. 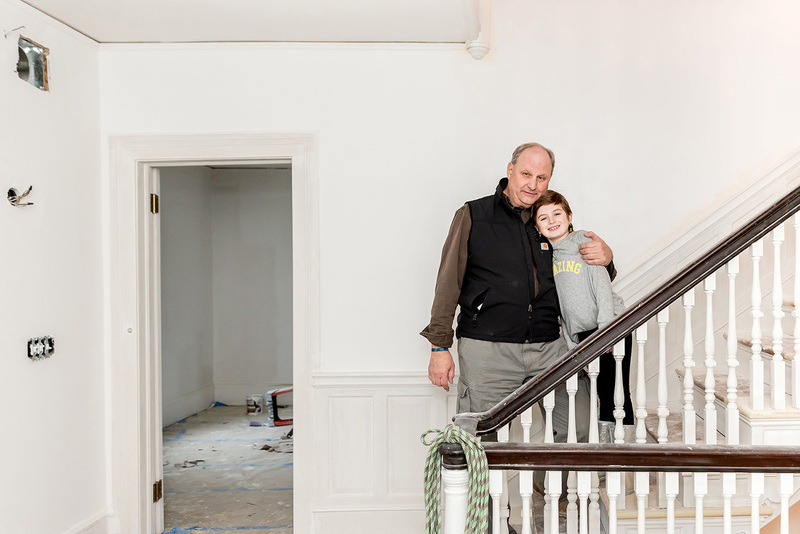 “I’m not here to change the world.” Reichard, a general contractor and owner of Berkeley Heights-based ER Development Inc., is a history buff, and his interest in vintage homes led him to this particular diamond in the rough. In addition to functioning utilities, the home featured built-in cabinetry and detailed millwork, features that would be extremely expensive to incorporate into a home today, Reichard notes. Planning to make the most of the home’s original attributes, he began the restoration. 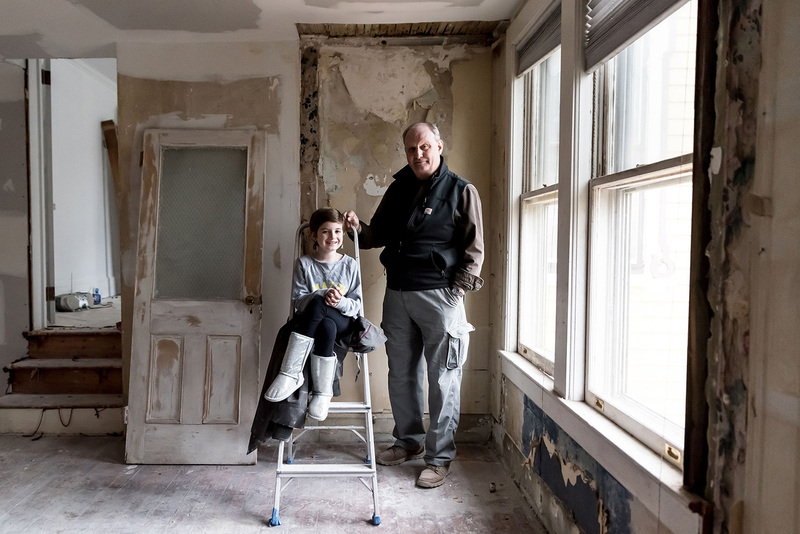 Dan Reichard and his granddaughter, Grace Eline, at the under-construction Grace’s House Designer Show House. Shortly thereafter, though, Reichard received devastating news. 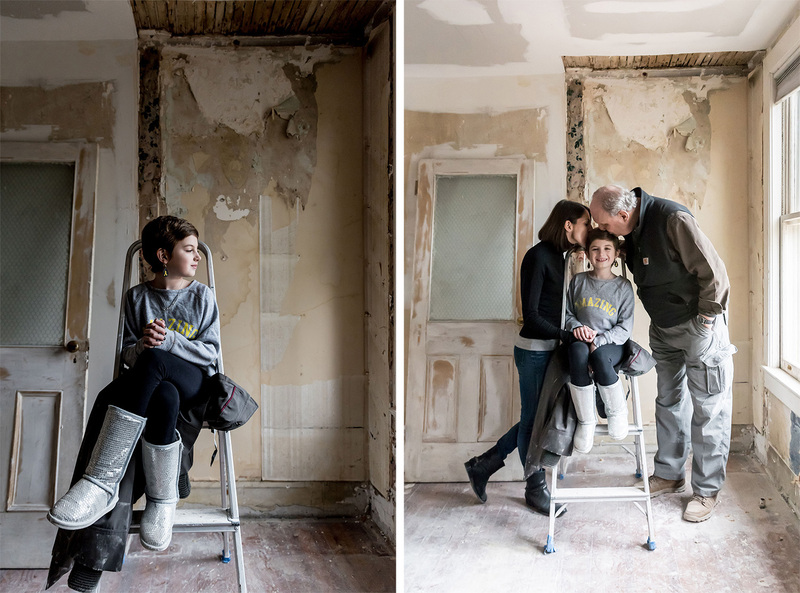 His then-9-year-old granddaughter, Grace, was diagnosed with brain cancer. Reichard sprang into action. “We did what we could to help,” he says, including accompanying Grace to one of her chemo treatments at Newark Beth Israel Medical Center’s Valerie Fund wing. What he saw there amazed him. “All these people appeared out of nowhere,” he recalls. “Doctors and nurses were hooking her up for chemo, a child life specialist was working with her with drawings and crayons.” An educational liaison explained to the family that she had already spoken to Grace’s school principal, her teacher, her classmates and their parents to explain what was going on with her treatment and to answer questions they might have. Reichard calls The Valerie Fund team “magical,” and he was determined to offer support. “I couldn’t cure Grace,” he says, “but I could help the people who are helping her.” Ironically, Reichard’s next course of action was a small step toward actually helping to change the world. He realized the house on Hillside Avenue might provide a way to support the organization that was supporting his granddaughter. 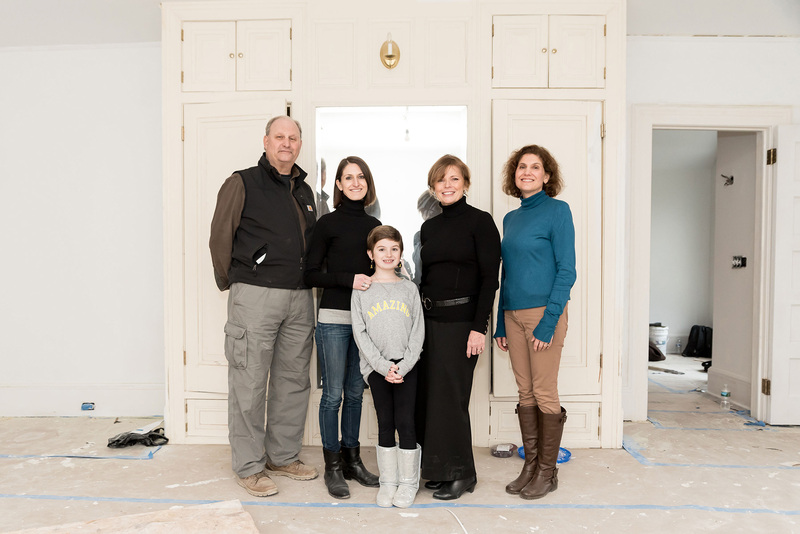 Dan, his daughter Aubrey and granddaughter Grace with Design NJ’s Publisher Tammy Keck and Assistant Editor Marirose Krall. Aubrey Reichard-Eline, Reichard’s daughter and Grace’s mom, wasn’t surprised by her father’s idea. “His heart is ginormous,” she says. 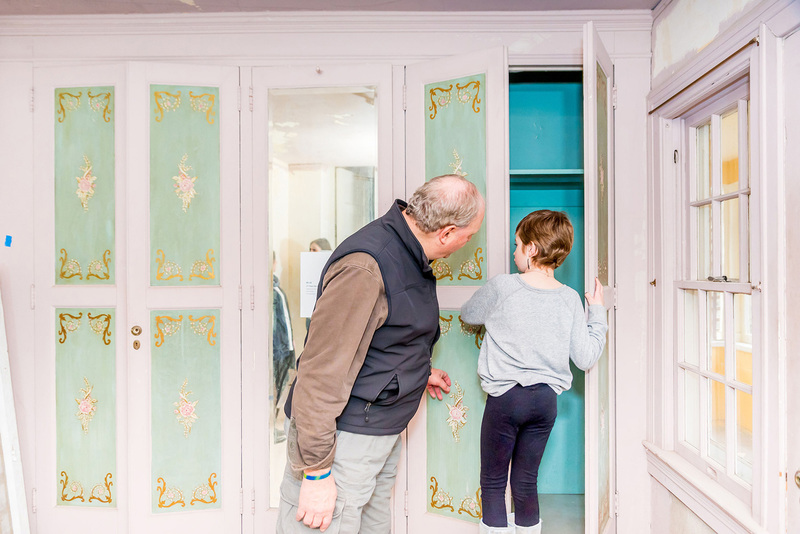 Grace and her grandfather explore built-ins original to the 1893 Colonial Revival home. Dan giving his granddaughter Grace painting lessons. Reichard is clearly proud of Grace and happy she is involved in this project. He’s a grandfather who found himself at the center of a convergence of circumstances that might have overwhelmed someone else. Instead, he used the resources at his disposal to make a difference. “Part of my job is to recognize opportunities,” he says. Reichard seized this opportunity to help change the world for his granddaughter and other pediatric cancer patients. 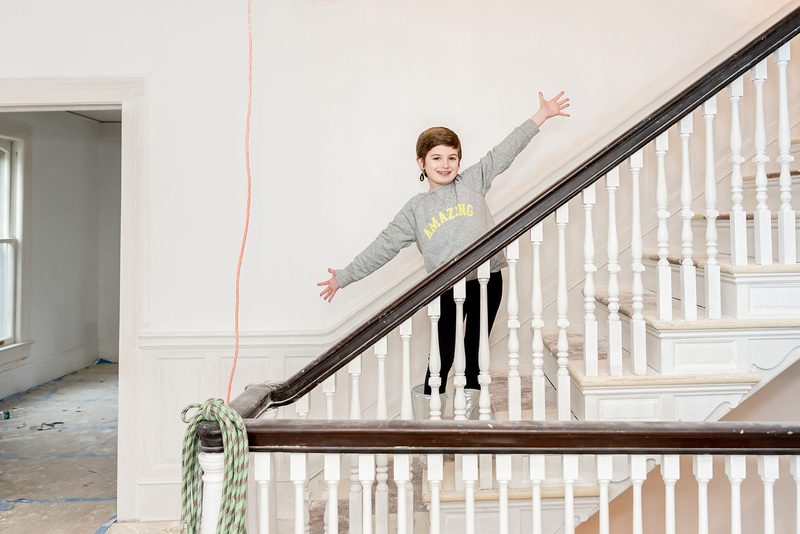 Grace is jazzed about the show house that bears her name. Grace Eline just turned 10. She’s energetic and outgoing, and she’s one of the kids who’s been supported by The Valerie Fund during her cancer treatments. She’s a talented designer who created the T-shirt logo for her Valerie Fund walk team, Gigi’s Angels. She’s also collaborating on the one of the rooms in the show house. Though she enjoys the creative side of design, Grace doesn’t want to be a designer when she grows up. She wants to be a doctor. “She says she would be a good doctor because she knows what would hurt. She knows what treatment is going to be like,” her mom says. On her way to becoming a doctor, Grace hasn’t missed many school days, thanks to a robot called a VGo provided by The Valerie Fund. The VGo allows patients absent from school for an extended period to attend classes remotely. “I can go around the room and pretend I’m there, but I’m home,” Grace says. “It’s like a video camera. They can see what I’m doing. I can see what they’re doing. If I don’t want the people in the classroom to hear me talking, I can put it on mute. If I don’t want to hear them talking, I can put them on mute.” According to representatives of The Valerie Fund, maintaining that visual connection with classmates and teachers makes a patient feel less isolated and more like a regular kid. 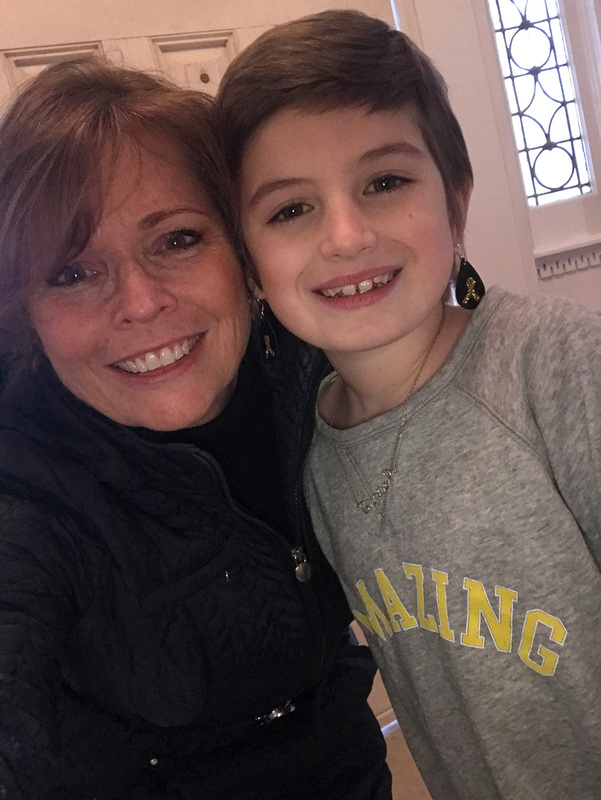 Grace is a regular kid (just for fun, she put a Katy Perry wig on her robot), but she’s also an extraordinary child who says that 2018 — the year she was diagnosed — was a great year. Members of The Valerie Fund team (from left): Neil Yaris, chairman of the board; and Yaris’ wife, Jane; Bunny Flanders, director of marketing and communications; and Barry Kirschner, executive director. The Valerie Fund is an organization with a mission to provide individualized care to children at medical centers close to home. Founded by Ed and Sue Goldstein, who lost their 9-year-old daughter, Valerie, to cancer in 1976, the organization is based on the idea that the most effective way to heal children is to treat them emotionally, socially and developmentally. Grace’s mom, Aubrey Reichard-Eline, knows firsthand about The Valerie Fund’s commitment. “From the first time we met with people there, we were family — and we loved that. These doctors and nurses don’t see pretty things, and it’s not just once in a while. It’s every day. They’re special people. I cannot say enough good things about The Valerie Fund, and I’m super thankful we chose them. They saved Grace’s life.” For more information on The Valerie Fund, go to TheValerieFund.org. Grace’s House will be open to the public April 25 through May 19, 2019. For tickets, visit Grace’s House Tickets. 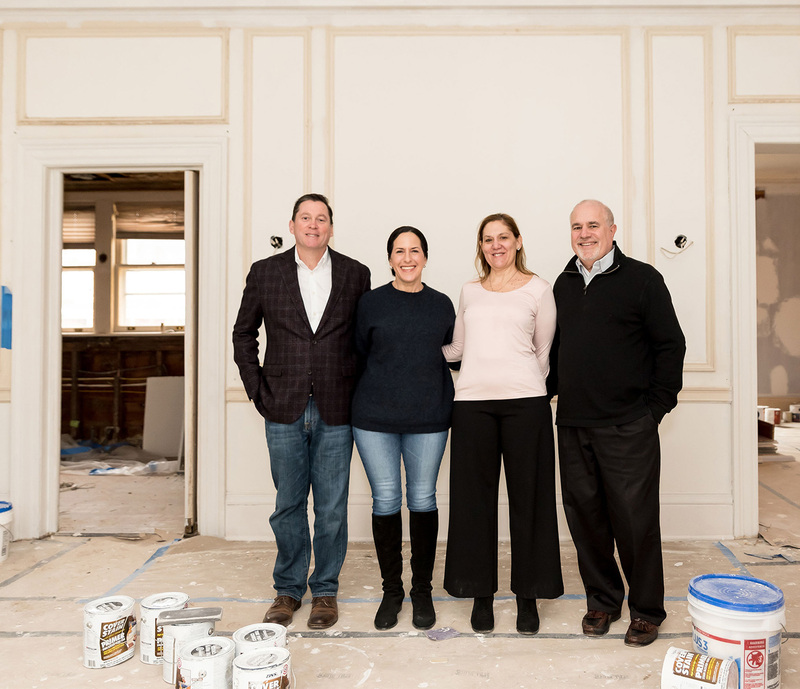 There will be more coverage of Grace’s House in Design NJ’s April/May 2019 print edition. Participating designers to date: AK Design Studios in Monsey, New York; ANEW Kitchen and Bath Design in North Plainfield; B. Garcia Designs in Upper Montclair; Butter and Velvet Home & Design in Denville; California Closets in Fairfield; CD Interiors Inc. in Manalapan; Gail Davis Designs in South Orange; Global Home Interiors in Princeton; Images in Design Inc. in Cranford; JAB Design Group/Joseph A. Berkowitz Interiors Inc. in Penn Valley; JMW Interiors LLC in Millburn; Liepold Design Group LLC in Millburn; Marina V Design Studio in Ridgewood; Mendham Interiors in Mendham; Mimi & Hill Design Studio in Westfield; Samuel Robert Signature Spaces in Millburn; Swati Goorha Designs in New Providence; The French Martini LLC in Westfield; and Tina Ramchandani Creative in New York City. To date, sponsors of the show house are Design NJ; Holby Valve Inc.; Jeanne and Alain Barbet; Coldwell Banker Realty of Westfield; Coughlin Duffy LLP; duCret School of Art; Ernst and Young Foundation; ERV Developers; Ferguson Bath, Kitchen & Lighting Gallery; RWJBarnabas Health; Schwartz Design Showroom; Sky­­lands Insurance Group; Tina and Stephen Squeri; Thomasville Furniture; and Worldwide Wholesale Floor Coverings. Providing gifts in kind are ANEW Kitchen & Bath Design, Atlas Marble & Granite, Benjamin Moore, Dente Trading, Amy Wax, Jersey’s Best, New Jersey Monthly, NJ Advance Media, Swarovski and Window Works..